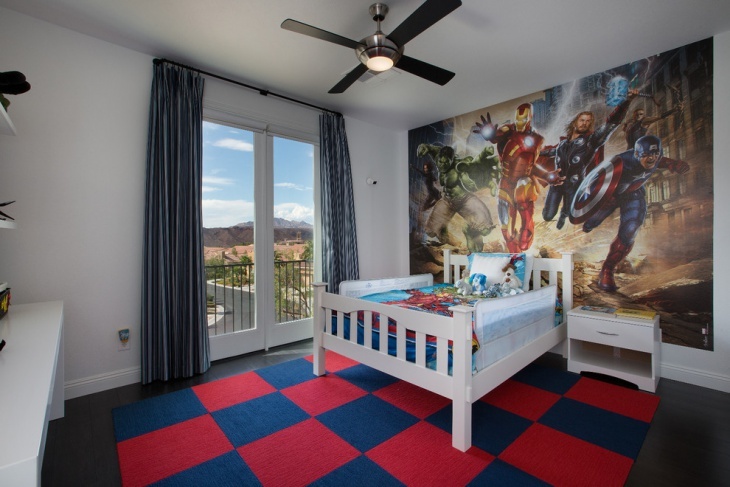 Children’s rooms have a major impact on their development and upbringing. Children are much more susceptible to their immediate environment than adults. This becomes all the more important in a setting which is supposed to take care of their daily needs. 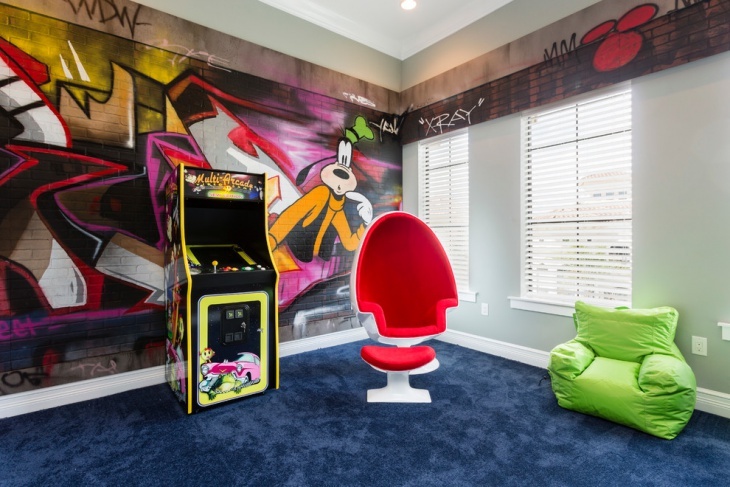 The kids’ room is their own world, and hence should inspire their imaginations and facilitate their creativity. 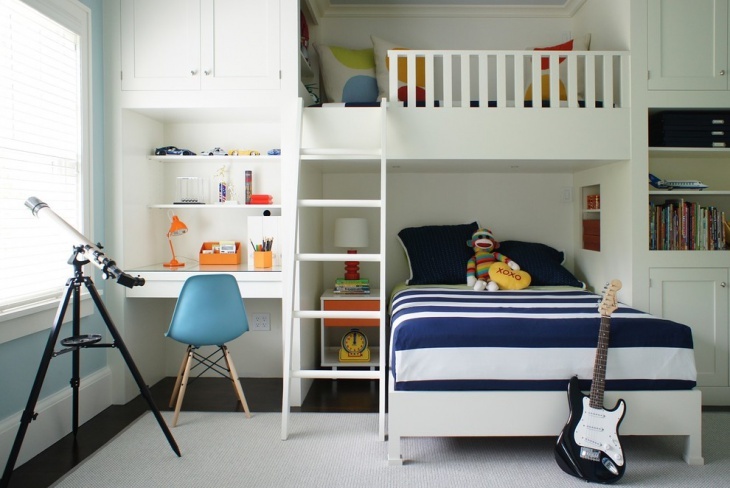 Bunk beds have been traditionally popular in children’s rooms, especially if they are young. 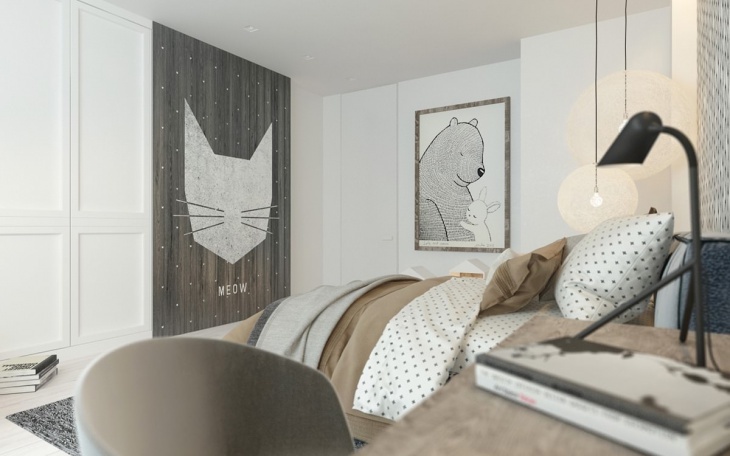 But today’s bunk beds, whether single or double-tier come as a multi-purpose unit, with bookshelves, drawers and in many cases, playing areas within. If there is only one child in the room, the space below the elevated bed can be the ideal place for a study table. They furniture in the room should be carefully decided to adapt to their growing needs. Colours and other design elements can be changed more frequently than furniture. 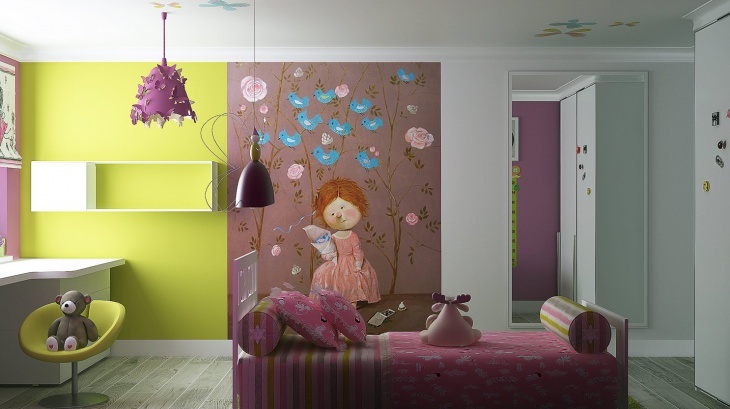 It is easier to choose colour schemes for children’s rooms; kids thrive in bright and lively-coloured surroundings. If your children are old enough, they may have some preferences, which you would well to accommodate within reason. They furniture in the room should be carefully decided to adapt to their growing needs. 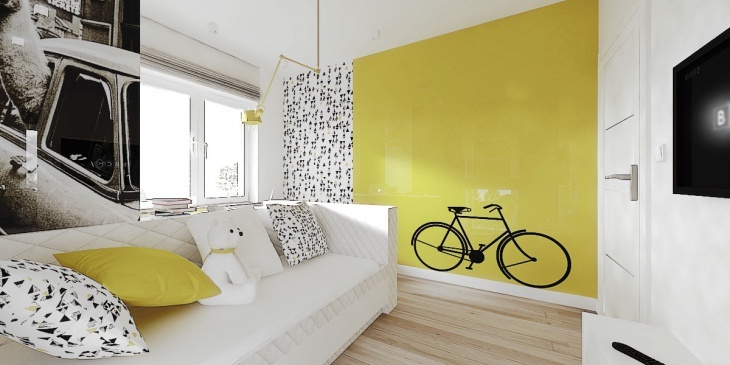 Colours and other design elements can be changed more frequently than furniture. Bookshelves should be an integral part of a child’s environment. They can make all the difference in developing literary and intellectual abilities. The flooring should be warm, preferably insulated by area rugs or wall to wall carpeting. Walls can be painted with various cultural themes. 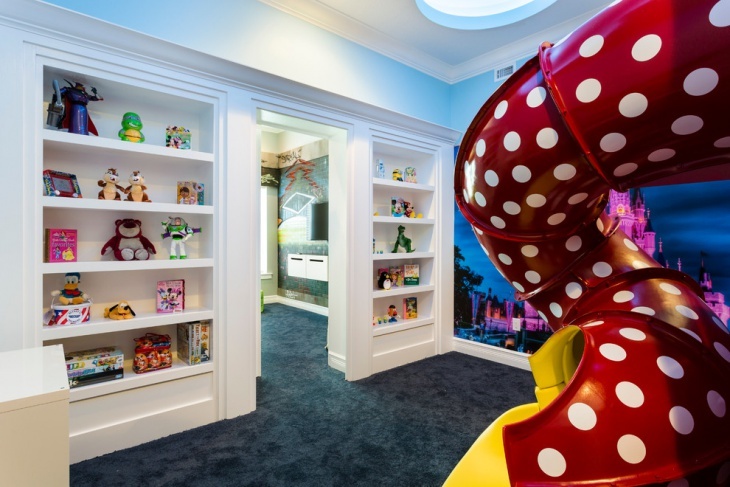 Design the room for optimum storage capacity to accommodate toys, old clothes and other stuff. Identify and smoothen all the sharp edges in the room to maximise the safety of your child.